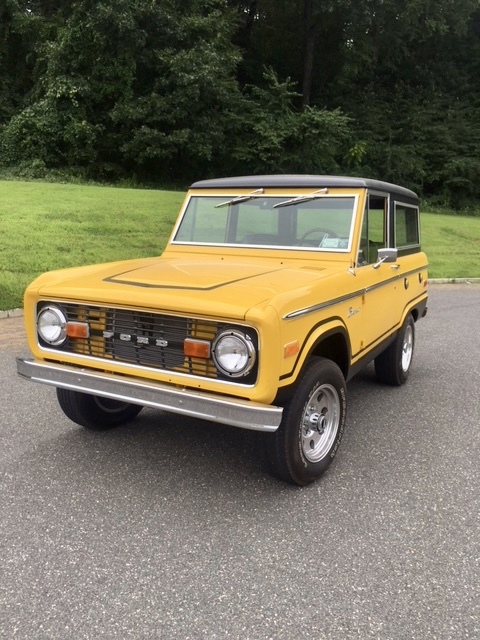 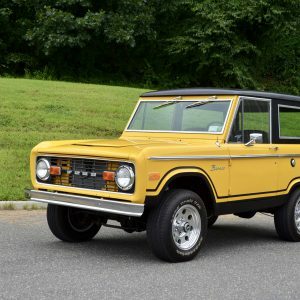 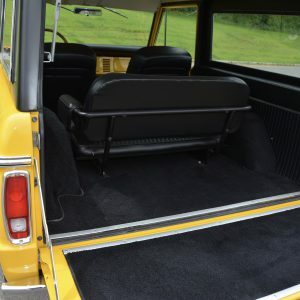 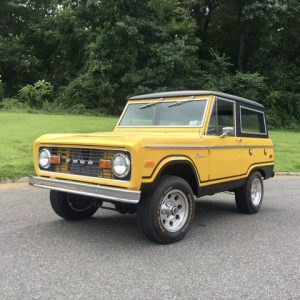 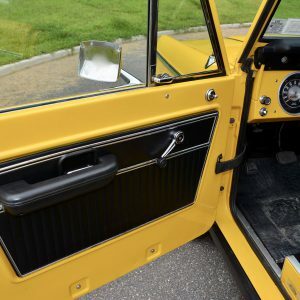 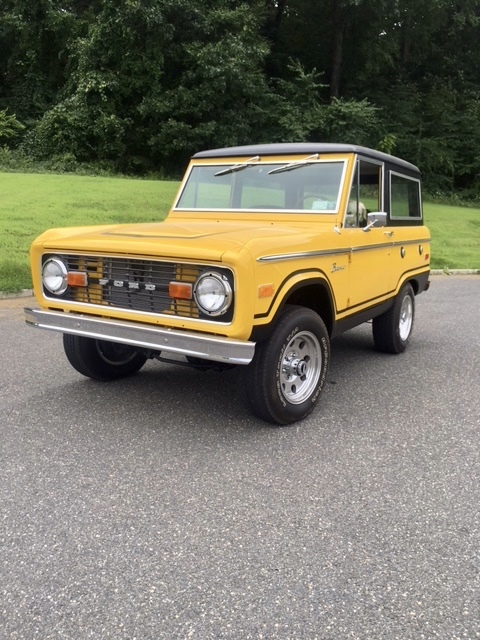 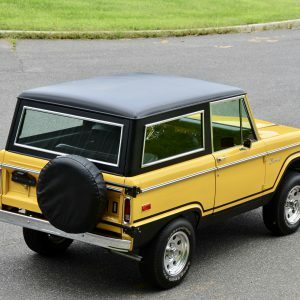 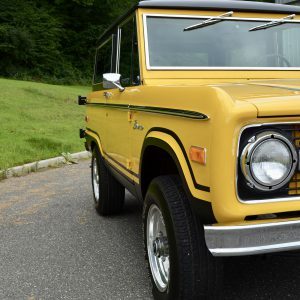 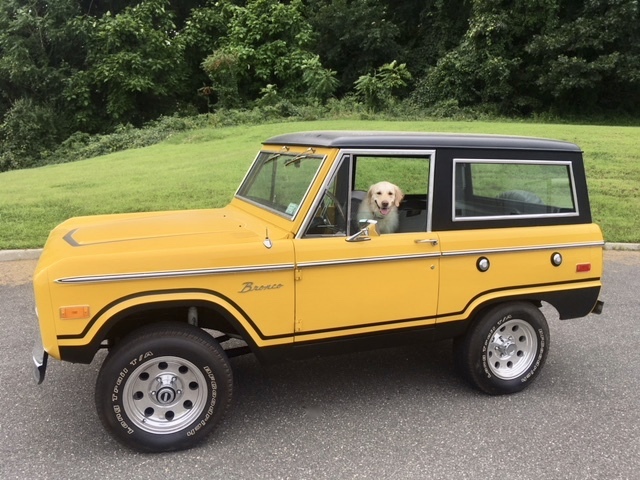 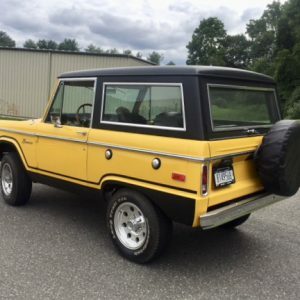 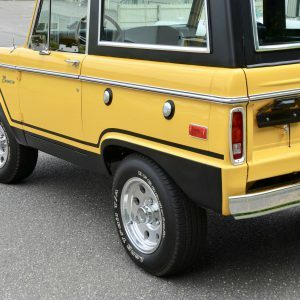 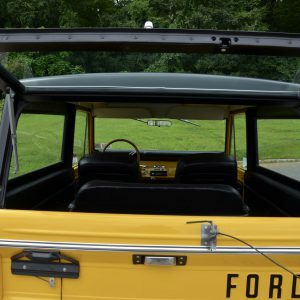 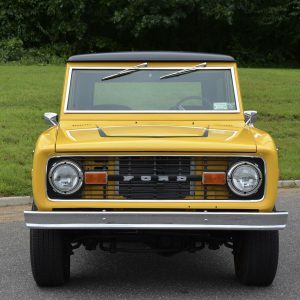 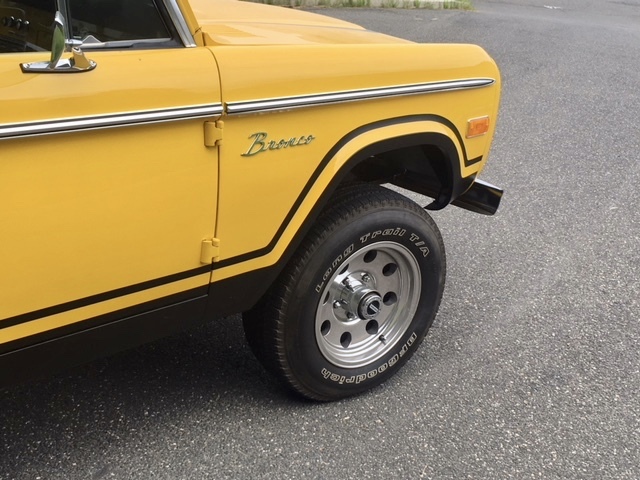 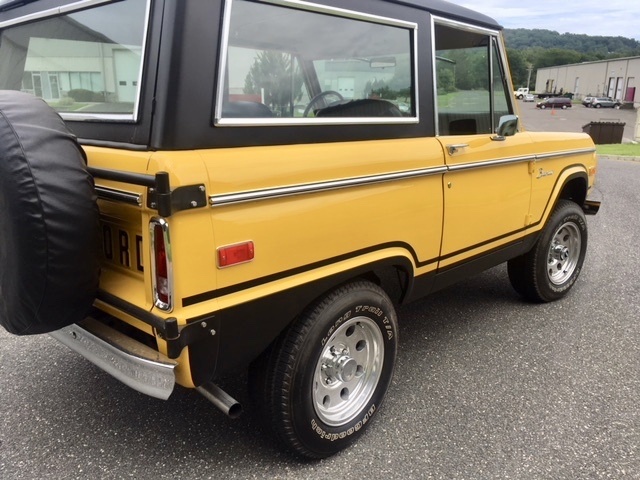 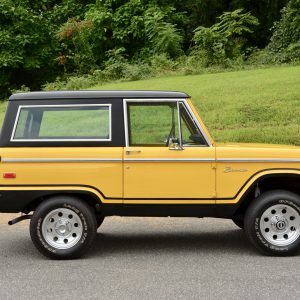 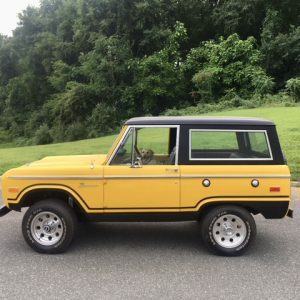 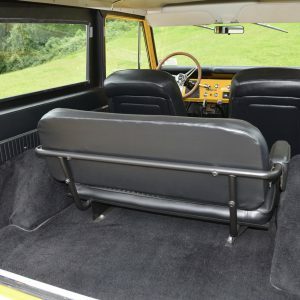 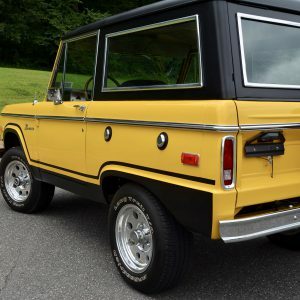 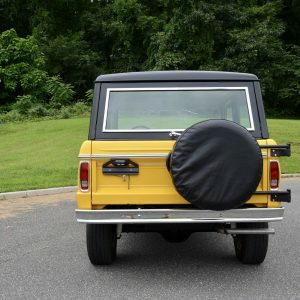 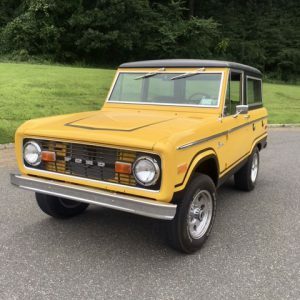 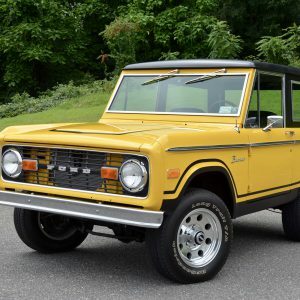 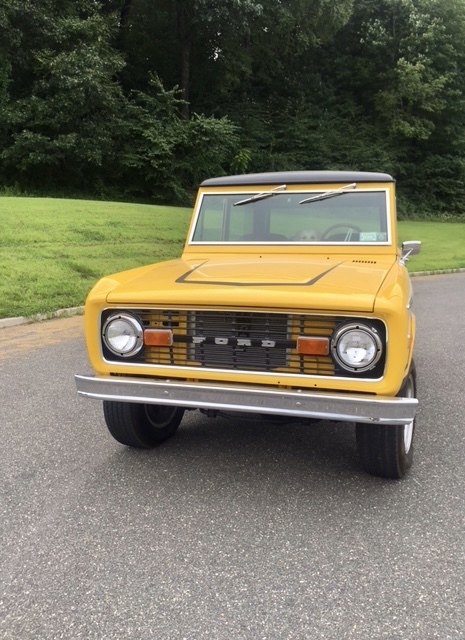 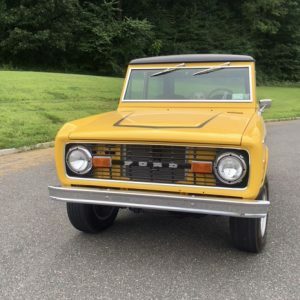 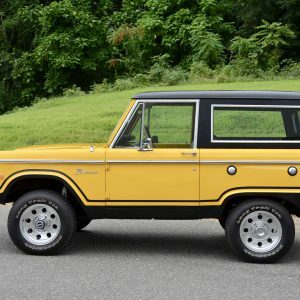 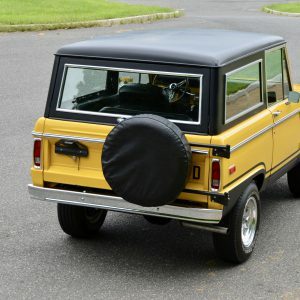 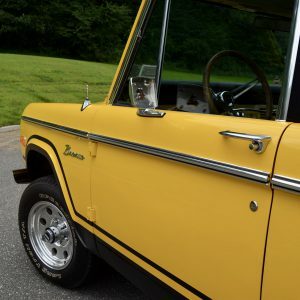 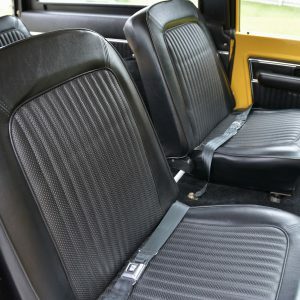 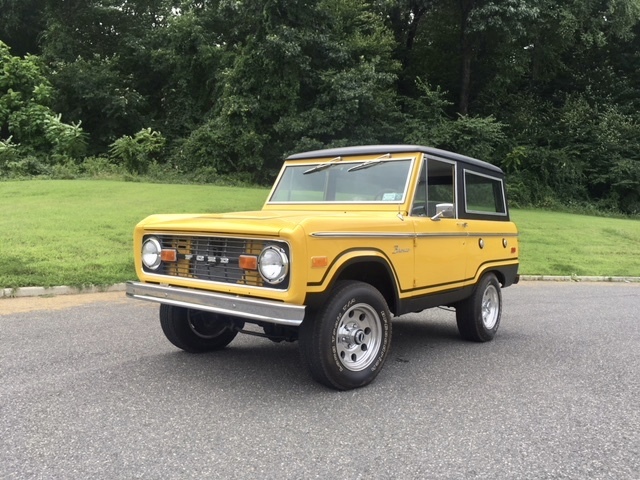 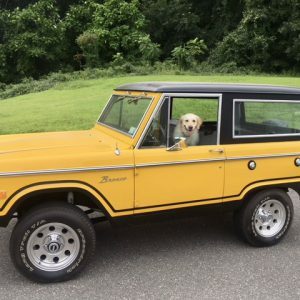 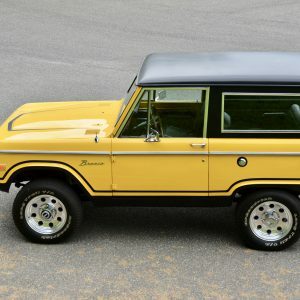 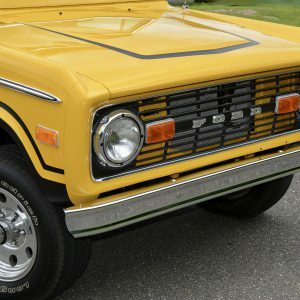 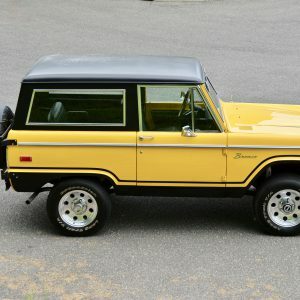 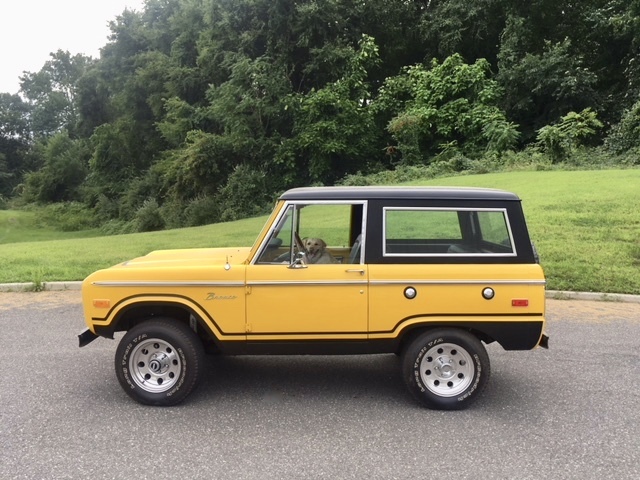 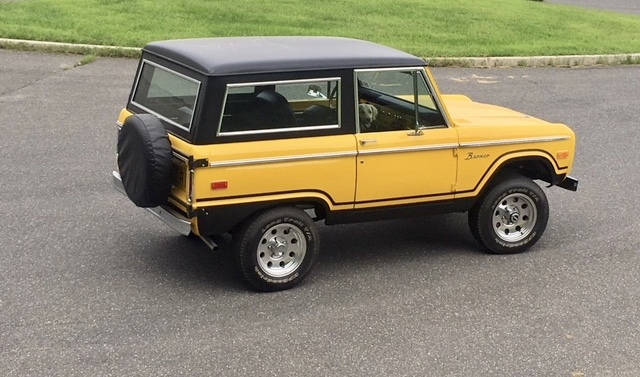 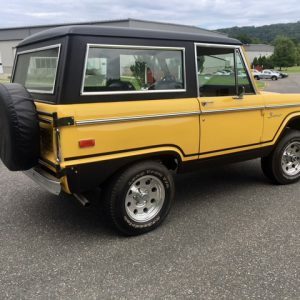 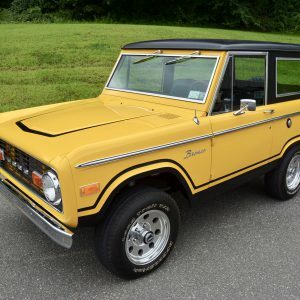 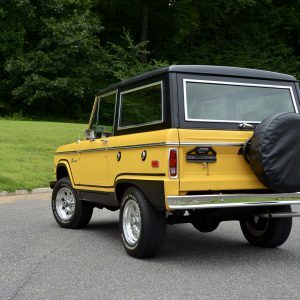 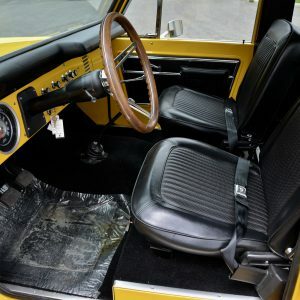 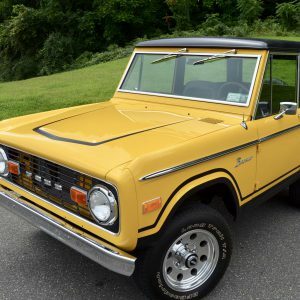 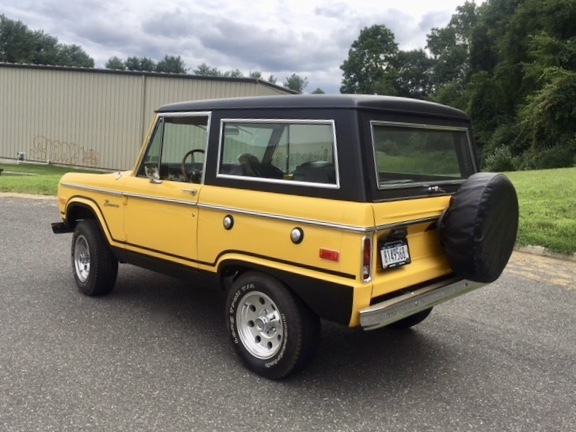 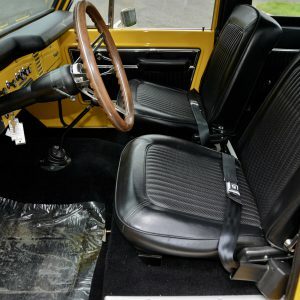 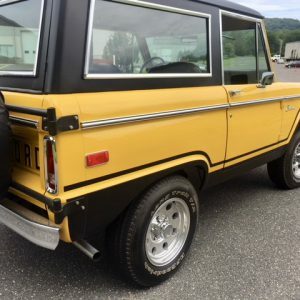 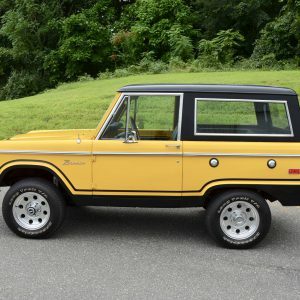 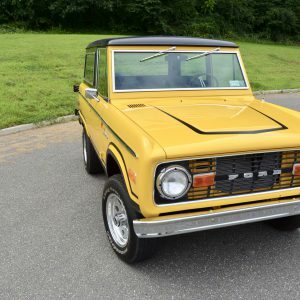 1976 Ford Bronco Ranger finished in Solar Yellow with Black interior. 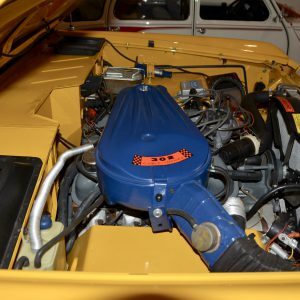 Driven just 866 miles since a total frame off, no expense spared total restoration. 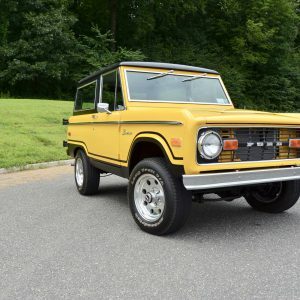 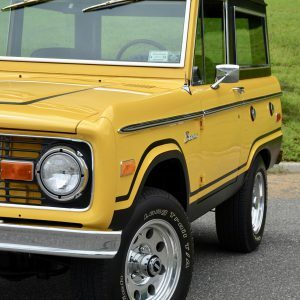 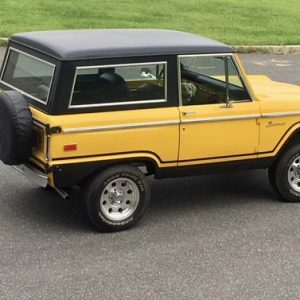 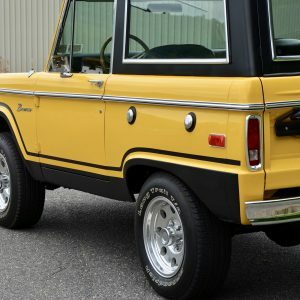 This celebrity owned 1976 Ford Bronco has received a CONCOURS quality nut and bolt restoration. 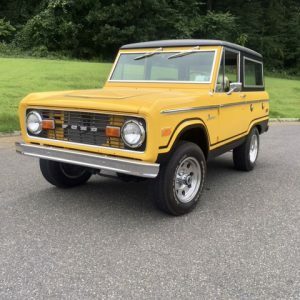 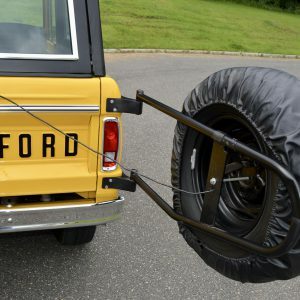 The Bronco is the definitive icon and heritage of the early Sport Utility Vehicle. 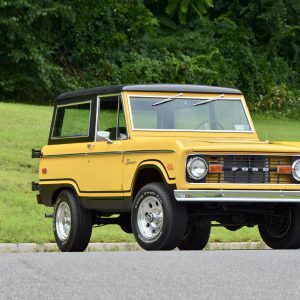 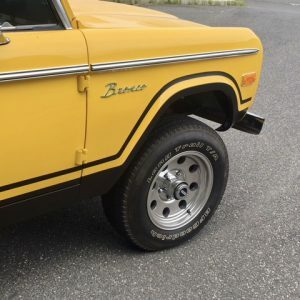 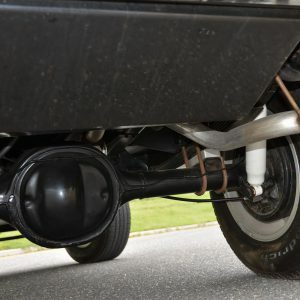 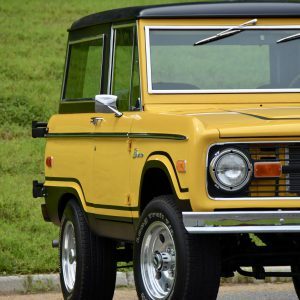 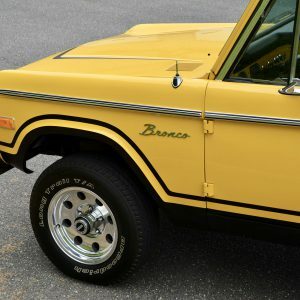 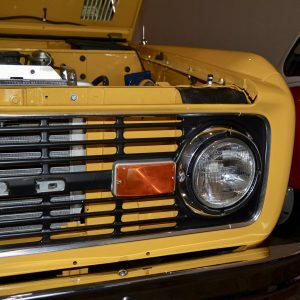 With a larger engine than the International Scout or the Toyota FJ40, the Bronco was considered the clear favorite and most desirable all purpose 4 Wheel Drive utility vehicle. 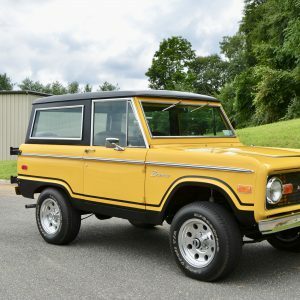 This stunning Bronco Ranger is finished in a ” Special Option ” paint code, Solar Yellow accented with factory Sport Graphics. 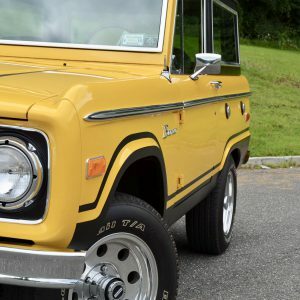 The restoration was performed on a totally rust and accident free body. 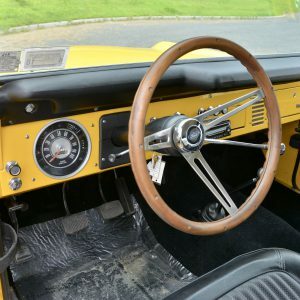 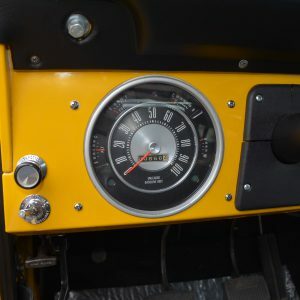 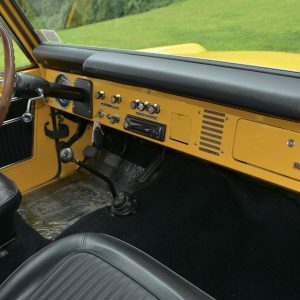 It is a matching numbers vehicle that retains it’s original 302 CI engine and Three Speed ( Three On The Tree ) Column Shift manual transmission. 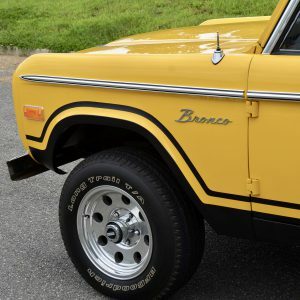 This Bronco sets the standard by which all iconic Broncos will be judged. 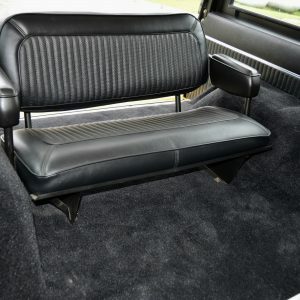 The highly extensive 3 year restoration cost in excess of $60,000.00. 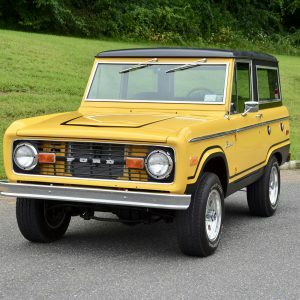 As would be expected with a concours restoration of this caliber, the Bronco is pristine and drives and runs flawlessly. 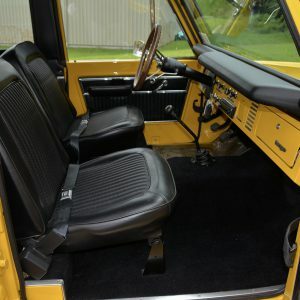 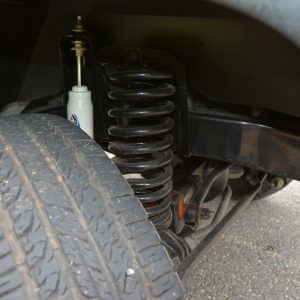 The transmission shifts beautifully and all ranges , Low 4WD, Hight 4WD and 2WD all work as they should. 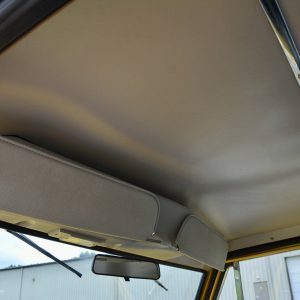 The fit and finish along with it’s chrome, interior and trim work are stunning. 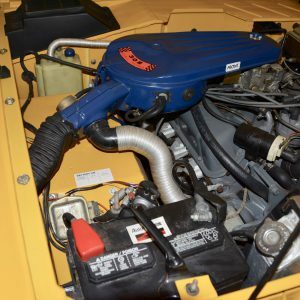 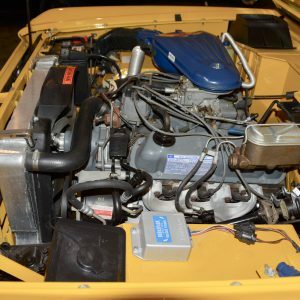 It’s 302 CI engine with 2bbl V8 engine and new Warn hubs along with it’s original fully restored front and rear differentials all perform flawlessly. 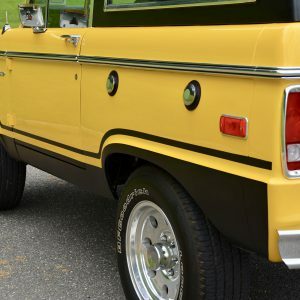 It also has dual fuel tanks and an updated aluminum radiator. 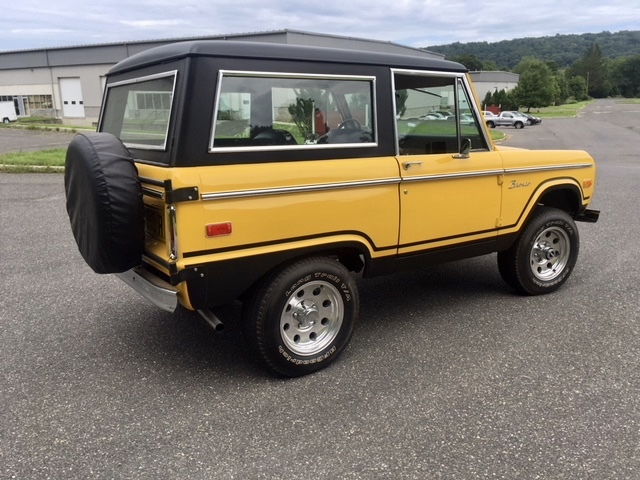 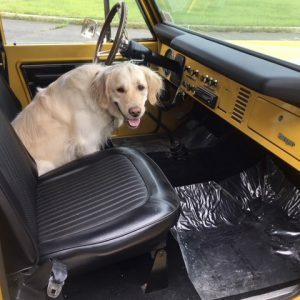 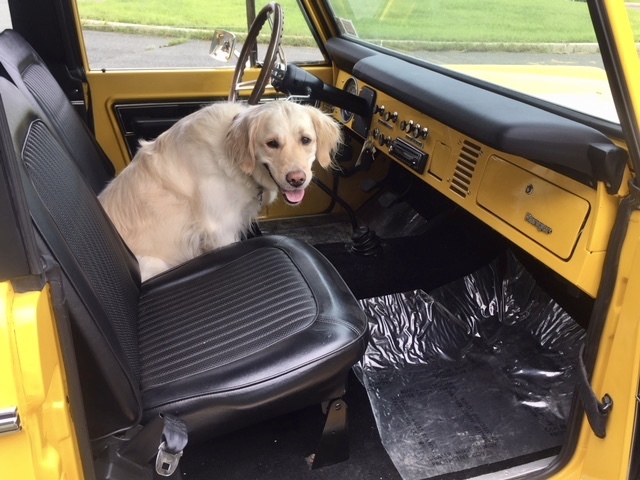 It’s factory hard top is removable for fun summer driving and it is also fitted with factory polished aluminum wheels and new BF Goodrich tires and upgraded Kenwood stereo.